Booking a foreign tourist train ticket. Here's what you need to know. 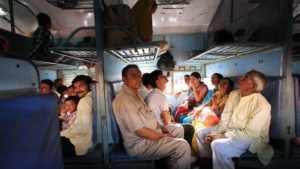 The Indian railways have subdivided a large number of bookable seats on a train into various ‘quotas’ or allotments so as to enable everyone to avail of this inexpensive travel experience. Of these quotas, which include General, Ladies, Senior Citizen, Defence etc, one quota made available exclusively for tourists and non-resident Indians is the FOREIGN TOURIST QUOTA. Learn here about how to book a foreign tourist quota ticket. Almost always you will find some or the other alternative to the foreign tourist ticket get in touch with us and start planning your trip to India so you won’t have to spend your precious time in India at the foreign tourist office. 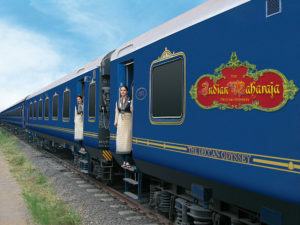 Who can book ticket under foreign tourist train quota? Visitors travelling to India who hold valid tourist visas can avail tickets under this quota. Do all trains have Foreigner tourist quota tickets? No, not all trains can be booked under this quota. Can Foreigner tourist quota train tickets be booked in advance? Wondering how to book a foreign tourist quota ticket in advance? Bookings open the same time as for the general quota i.e. 60 days before departure date. However, please note that tickets under the foreign tourist quota cannot be booked online or by any agent. You need to be present at the booking counter with your passport and a valid tourist visa. Also if tickets are needed for more than one person, you need to carry their passport/s too. No photocopies are accepted. 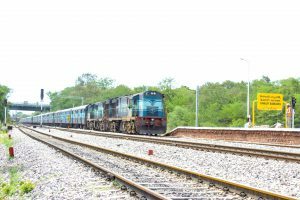 Where to book foreigners’ tourist quota train ticket? How do I pay for the tickets and is there a special fare? The ticket fare is the same as a general quota ticket. No additional payments are to be made. You have to pay in foreign currency i.e. USD, Pounds, Sterling or Euros. You can also pay in Indian Rupees; however, you may be required to present the currency exchange receipt or ATM receipt. It is also better to carry cash with you as not all bureaus may accept a credit/ debit card. Do keep in mind that there are very few/limited seats available under this quota and it may be possible that the tickets are unavailable by the time you are in India. Do not plan your trip around it but keep it as an emergency window. Before you get to the booking office, note down ahead the train name, number, the boarding, and alighting station names. You need to fill a reservation form at the office and having this information will help save time. Do not believe touts/agents you come across at the railway stations (especially Delhi), who are trying to mislead and fleece you. It is safer to ask your hotel/homestay for specific information. And if you would like to avoid the hassle of going to a foreign tourist office and hoping you get a ticket. We always recommend planning in advance. Get in touch with us here to make the most of your time in India. I intend coming to India landing in Delhi on the 14th of June 2017 and would like 2 tickets to travel to Varanasi the same evening with train No. 12560 Shiv Ganga. I can provide you with my Passport Number etc whatever maybe needed. Im very sorry we missed this post. Next time please contact us directly on thinkingindia@indiasomeday.com. Is it possible to book a train ticket online without all passengers having a passport number? I have a passport, but my friend is still waiting for his. Is there a way to book his ticket without providing a passport number yet? Hi. He could use the number of his old passport or a national ID. Then he would need to take both with him on the trip, the new and the old passport. The ticket controller might ask for both.